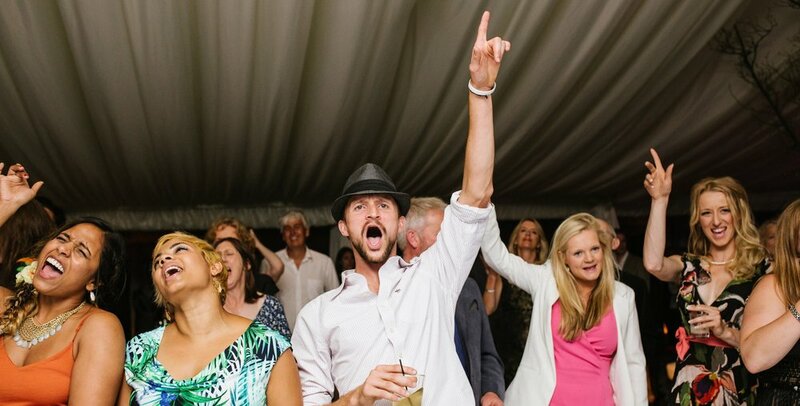 The Dark Blues have performed for a whole host of clients over the years from families looking to throw the perfect wedding or birthday bash right to major corporations’ global recognition events. Nigel always picks the right songs from the Dark Blues’ amazing repertoire to make sure that everybody feels at home and is able to sing along – it’s a remarkable talent and one which makes The Dark Blues unique. We’re very proud to have played at numerous private parties for various members of the Royal Family at Buckingham Palace and at Windsor Castle. But perhaps our proudest moment was being chosen for the Musicians’ Union when they hosted union representatives from all over the world at a conference in London in 2005, and the London Symphony Orchestra celebrating its centenary at The Savoy in the same year; we reckon that makes us the musicians’ musicians!